Well, this week I’ve got an interview with Barney Greenway from Napalm Death to share with all of you. 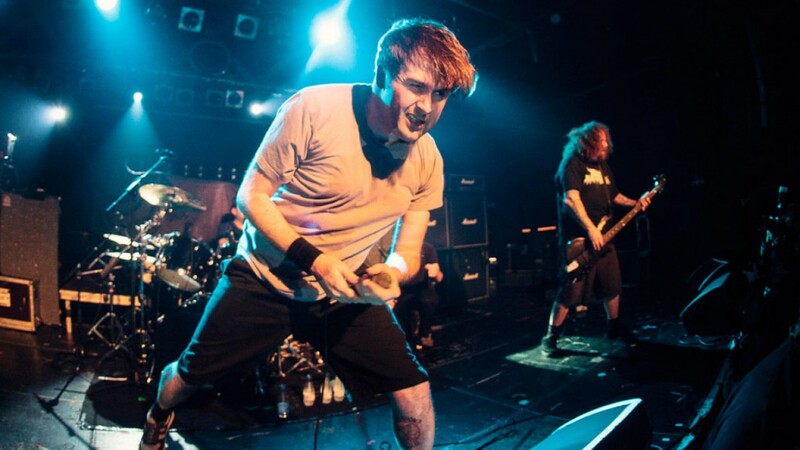 Napalm Death is one of my favorite bands and Barney is one of my favorite writers and vocalists so I was absurdly excited to score an interview with him. The interview itself went great and I was really excited to share it until I reviewed the audio and discovered there was a problem with the Skype call and Barney’s audio was messed up. It’s not completely unintelligible, but you’ll need to pay attention to catch some of the stuff he says. I thought about not posting it, but, for the sake of new content and my fellow ND fanatics, here it is. If you’re an iTunes user, don’t forget to subscribe to Full Metal Hipster, and leave me some good reviews/5 star ratings for God’s sake! If you’re not an Apple fanboy, you can stream or download each episode from my website FullMetalHipster.com, my Stitcher page, or on the podcast host site. I’m on Twitter at @MetalShayne2000 and Facebook, too, ya bums! For always and forever, the demo was better!